One good thing about laundromat is that I can wander around the strip mall while waiting for your laundry. 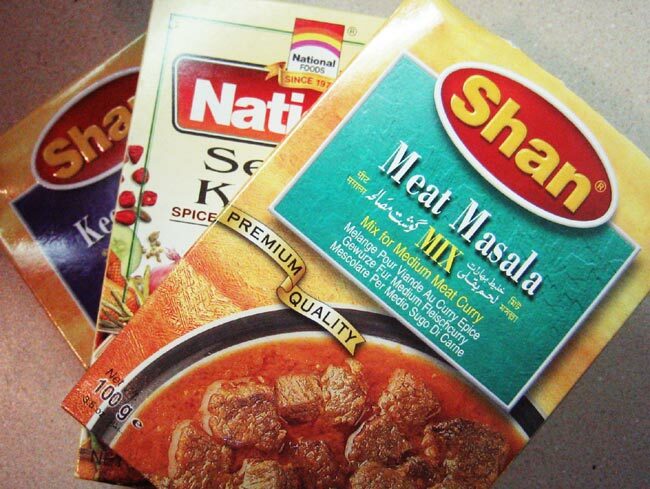 The other day, while my laundry was going through delicate cycle, I went next door to a Pakistani grocery store. I bought basmati rice and 3 boxes of keema curry, seekh kabab and meat masala spice mix. There were too many spice mixes to pick from. I have to make another visit to the store on my next laundry day. So last night, I made beef masala. Though the recipe (in the back of the box) didn't have potatoes, I added anyway. I also added fried red onion. I cooked for about 2 and half hours, not long enough as required but I was so freaking hungry. It was really tasty. The meat was almost tender. 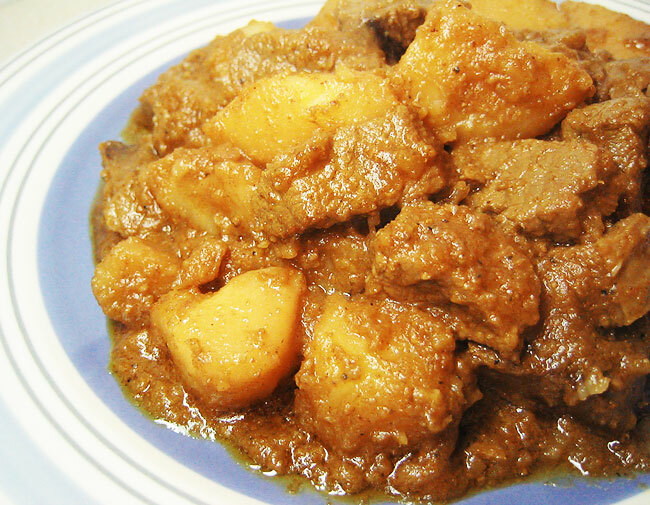 The starchiness of potatoes and the masala sauce created a real nice flavor. I had the leftover today for lunch and it tasted even better. I am strongly recommend this masala spice mix. I made steak dinner tonight. 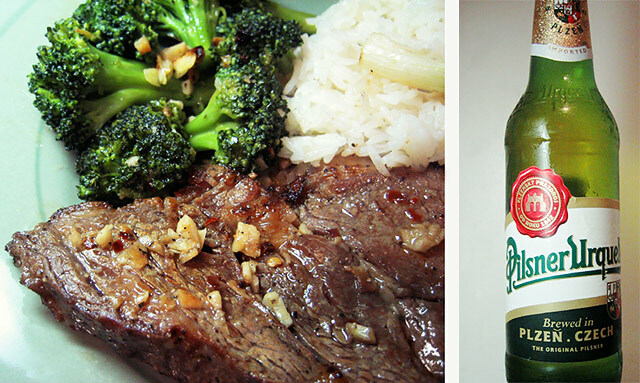 There is nothing much to it: broiled steak, stir-fried broccoli and seasoned steam rice. First, I seasoned the steak with black pepper, salt, dried chili pepper and lots of garlic. I broiled it for 6 minutes and let it rest. Next, I cooked the broccoli with some garlic and dried red onion. Serve with rice. And of course, steak dinner is not complete without tasty Czech beer. I was summoned for jury duty today. Like any good old law-abiding citizen, I tossed the letter in the trash and went back to bed. Ok, I think that was my dream. 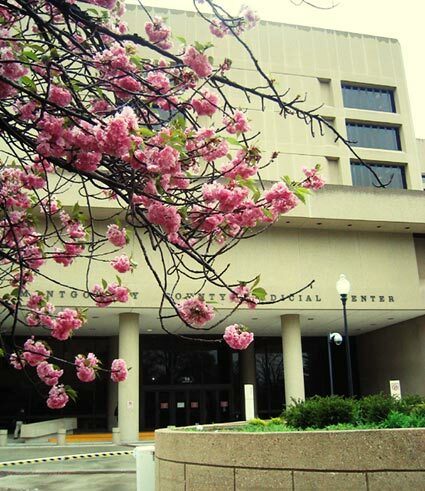 Anyway, I went to the courthouse this morning not knowing how long the whole judicial process would take. The security officer took my camera so only picture of the building is available. I went upstairs to the jury lounge. There were over 200 people in the room. Judging on the look n their faces, 90% of those didn't want to be there. To cut the story short, the fucker pleaded guilty. I was dismissed around noon. I also received a check in the amount of $15.00 for my civic duty; $9.00 went to pay for parking. That left me $6.00. Nice. 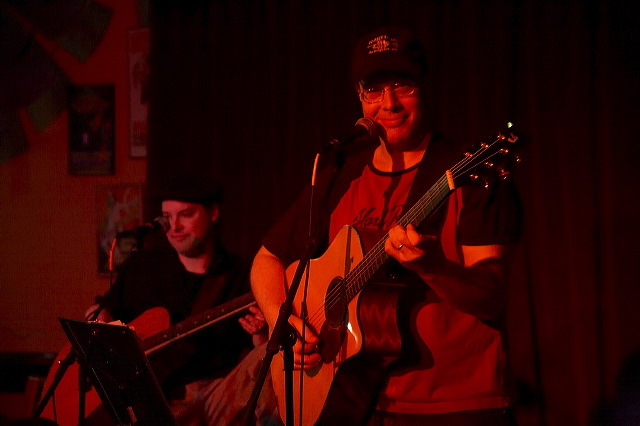 My buddy, John had a show at Austin Grill the other night. I went out to check it out. I also took my new camera along. It was so dark inside that I had to shoot at 3200 ISO 1/30 sec. I was very impressed with little noise/grain. Click here to see more pix. No, I didn't make it--way too much work. Anyway, once in a while, I have a craving for this soup. 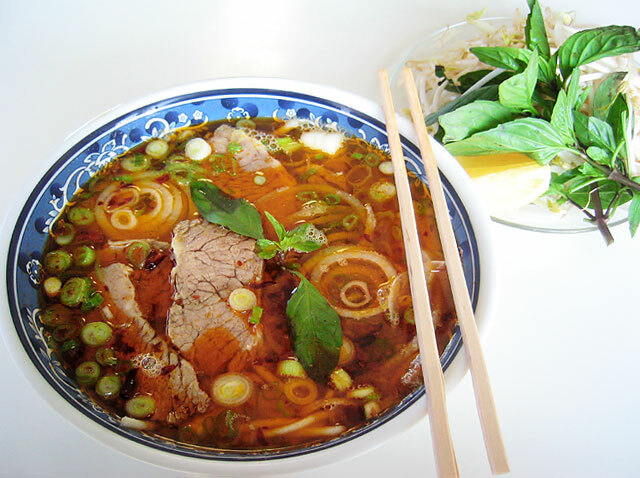 It is not as popular--here in the US-- as pho (beef noodle soup) but equally as good. Originated from Hue city (Central Vienam), it spred throughout Vietnam like a plague. Like pho, it comes with varieties of toppings. If you want to try this noodle soup for the first time, choose your toppings wisely--some are a little exotic for some of you. For me, I only like it with thin sliced beef.